Originally presented with a striking blue PVD titanium movement in platinum, the colours of the Greubel Forsey Tourbillon 24 Secondes Contemporain have now been dialled back. The base plate and bridge on the front are now frosted but left uncoated, leaving them in the natural grey tone of titanium. 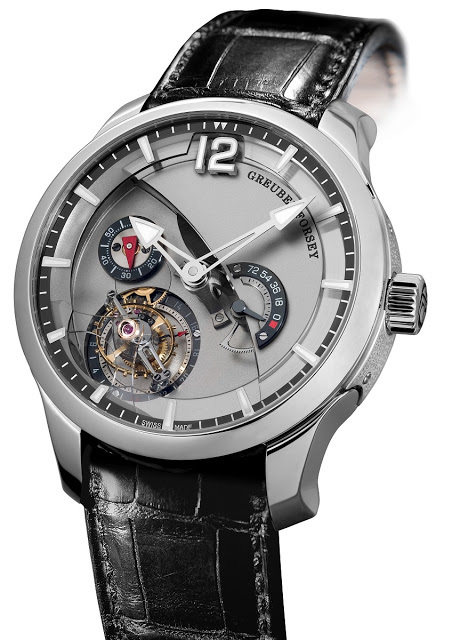 Though the look is more muted, the dial retains all the details which made the blue version (also presented in red gold at SIHH 2013) so stunning. 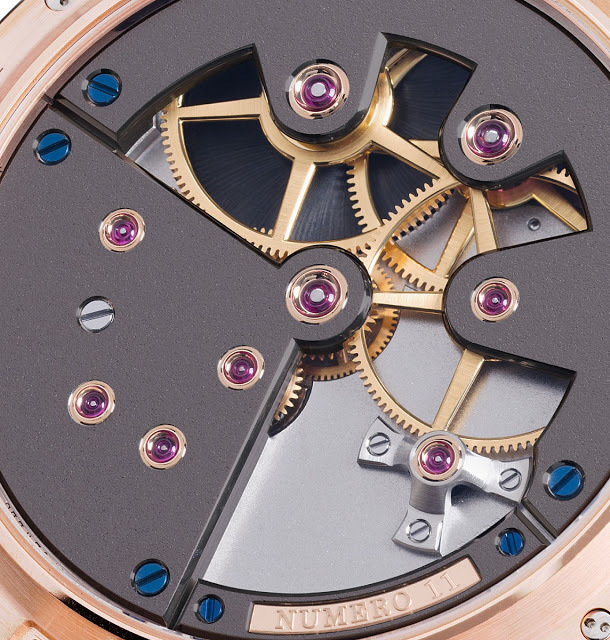 The sapphire chapter ring for the hour indices floats above the bridges, and the tourbillon is similarly suspended by a clear sapphire bridge. 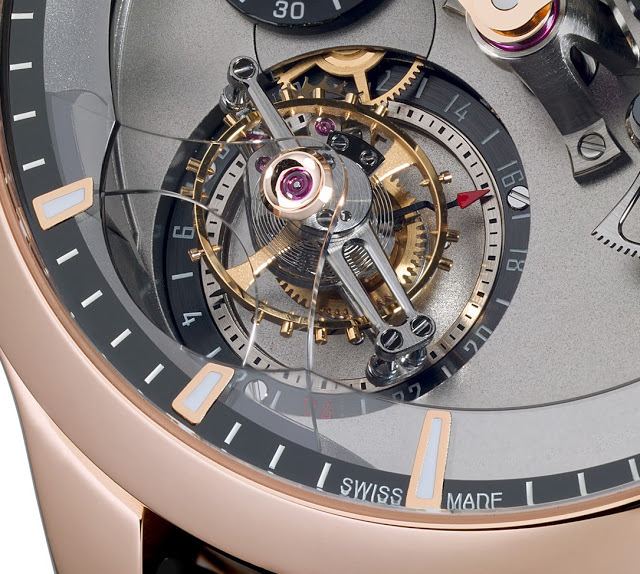 Mechanically this remains the same as the earlier version, equipped with a fast rotating tourbillon – it makes one revolution every 24 second – inclined at 25 degrees. 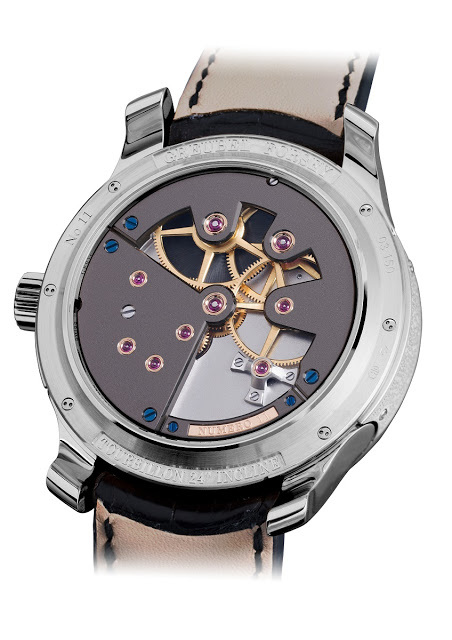 The movement bridges are in nickel silver with ruthenium plating, making them several shades of grey darker than the dial. 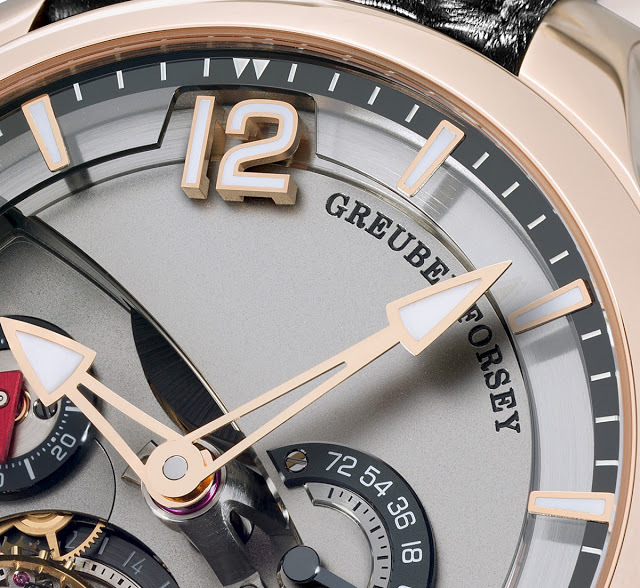 And the movement decoration is exemplary, in the typical style of Greubel Forsey, with frosted bridges, gold chatons and blued screws, not unlike nineteenth century pocket watches in form and style.